As the local area experts, we can help you get the best possible price when selling your home. We aim to make process of selling your home smooth and hassle-free, so we’ve prepared this step by step guide to selling your home so you know exactly what to expect. And remember, one of our experienced and helpful agents will be with you every step of the way. Having a realistic view on the value of your home will help you set a sale price that will maximize interest by potential buyers, and also ensure you’re getting the best offers. We’re based in the heart of the areas we serve, and have the local knowledge needed to give you a fair and accurate assessment of market value. Well-presented properties achieve higher offers. It’s a good idea to ensure the place is tidy and presentable, and to fix any bits and pieces that might deter potential buyers. We have a list of handymen and tradesman available if you’d like some recommendations. We’ll take professional photos, prepare floor plans, and list your property on the three major property portals: Rightmove, Zoopla and Prime Location. 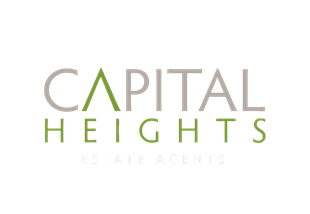 We also have a list of potential buyers we will approach directly who have already registered interest in buying properties just like yours. We’ll work with you to find the most convenient times for viewing that work for both you and potential buyers. You don’t necessarily have to be at home during the viewings. We’ll pass on any offers received, along with our recommendations. We’ll also negotiate with the buyer on your behalf until you’re happy with the deal. Once you’ve accepted an offer, we’ll prepare a Memorandum of Sale outlining the agreed price, contact details of both parties and their solicitors, and any conditions of the sale. Now it’s time to instruct your solicitor to start the conveyancing process. This is the point at which the sale becomes legally binding. The contract will include your agreed date of completion. Although the property is legally yours until the completion date, it’s usually less stressful if you arrange to move out a few days earlier. The full amount of the purchase price is transferred to you solicitors, and the property is legally sold.